In its current incarnation, Oobites is a collection of individual foods, drinks, ingredients, and related items. A lime is classified as a fruit–and, more specifically, resides in the “citrus” category. “Fruit” happens to be the largest category on Oobites. There must be a lot of interesting fruits. 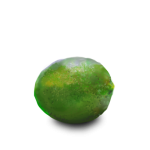 Anyway, the title “Lime” is pretty general; there are many different kinds of limes. As such, this entry contains very general information. General fruit articles like these tend to highlight the differences between related taxa. A key lime, however, is a specific fruit. A “Key Lime” article would tell of key limes. 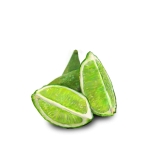 The “Lime Wedges, Four” oobite is representative another type of article. It still resides in the “citrus” category–no real difference there–, but this food item results from processing another food. Check out the article. See the note where it REQUIRES a lime? Little connections like these persist throughout Oobites. They are a means of traversing the site alternative to the chronological order that they are posted in. The “Lime Half, Juiced” oobite is a placeholder for a spent ingredient. There’s not too much information here. Oobites thus far doesn’t have much to say about spent food waste such as this. It is included in the “waste” category. 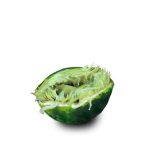 Also, it’s the other half of our lime, but something is missing. “Lime Juice” is a multi-category entry. It is still classified as “citrus” so it can be found in the same category as the above, but it can also be found under the “drink” and “ingredient” headings. Categories on Oobites organize like articles. They are a third way of traversing the site, but they are probably the most visible. 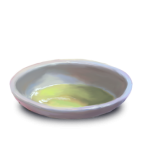 The “Lime Juice” article contains information about how it is used as an ingredient and how it differs from related ingredients. So there’s some continuity here. There are tons of different foodstuffs. 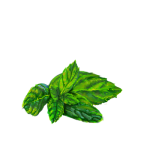 Mint is a herb and is classified as such. Other “herb” articles include Thai Basil and Borage Blossoms, Two. Check out all the categories. There’s lots to look at.